Creation sings a love song to us from God, revealing His character, nature and creativity. Romans 1 also echoes the truth that God speaks constantly through creation, if we are willing to look and see His fingerprints, design and deep love written in natural things and animals around us. I was driving down from Centerville at dusk on Saturday night when I stopped to watch two small bear cubs amble down the pavement and carefully climb over a barbed wire fence that was bent over. My jaw was literally open as I watched from the safety of my car something I had never had the privilege of seeing in the wild before. I strained to see them climbing into the bushes – and as I looked… up pops the head of the mama bear who stood up and looked right at me. She locked eyes with me for a few seconds, then turned around and led her cubs safely away from the road. I sat gawking and wishing they would come back again. Only the whir of the engine could be heard over the beating of my heart that entered into an incredible place of thanksgiving. As I drove past the covered bridge in silence I thanked Jesus for allowing me to be in the right place at the right time. 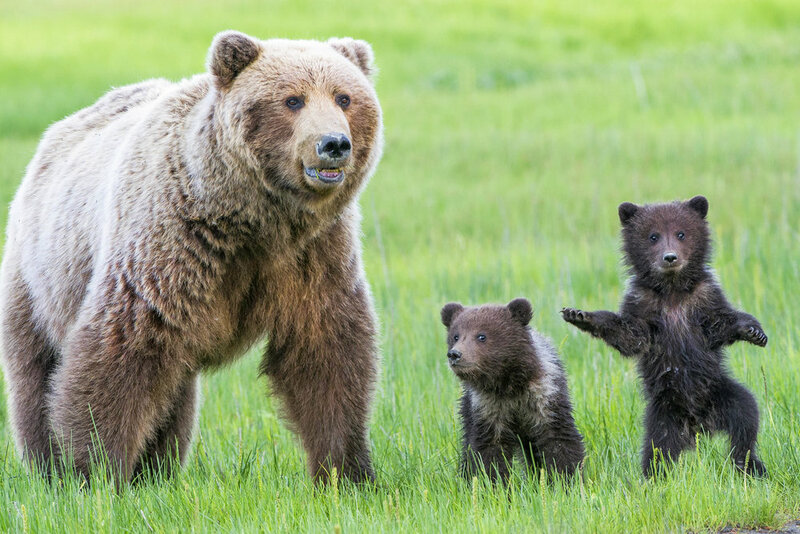 I thought about the way that God cares for us like a mama bear would lead and care for her cubs. Proverbs 17:12 (NIV) says, 12 Better to meet a bear robbed of her cubs than a fool in his folly. We note the kind of choices which the kesîl makes. His eyes are unable to see any proper way or conduct. He may roam the earth seeking it, but miss it completely. Apparently he does not concentrate on what is right (Proverbs 17:24). The fool imagines that he can buy wisdom when actually he has no inclination for it (Proverbs 17:16). He takes no delight in understanding (Proverbs 18:2), hates knowledge (Proverbs 1:22), and therefore does not choose the fear of the Lord (Proverbs 1:29). The end of the fool's complacency is destruction (Proverbs 1:32). The fool is a serious menace to the community. Associating with a fool, who has a twisted sense of values deprives one of knowledge (Proverbs 14:7). He can cause serious problems to his fellow man, for he actually enjoys doing wickedness or lewdness; (Leviticus 18:17; Proverbs 10:23). A fool's utterances bring strife and involve him in blows with his adversaries (Proverbs 18:6). Anyone who befriends him will be destroyed (Proverbs 13:20). Parents of the fool suffer greatly. His mother is grieved with him (Proverbs 10:1) and his father can never have any joy over him (Proverbs 10:1; see also Proverbs 17:25; Proverbs 19:13a). Yet for his part, the fool despises his mother (Proverbs 15:20). Older PostJesus is going with You.